The leading supplier of Bluetooth peripheral devices worldwide, BlueAnt Wireless has launched its new voice-controlled Bluetooth headset using Sensory’s revolutionary BlueGenie voice interface – BlueAnt V1, which the company claims as the first stand-alone headset with Bluetooth v2.1, and the first ever Bluetooth headset with true VUI (voice user interface). In addition, the new BlueAnt V1 also features Voice Isolation Technology that provides outstanding noise suppression, wind noise reduction as well as echo cancellation. The innovative BlueAnt V1 voice-controlled Bluetooth headset that able to support up to 5 hours of talk time or up to 200 hours of standby time is now available for about $130. 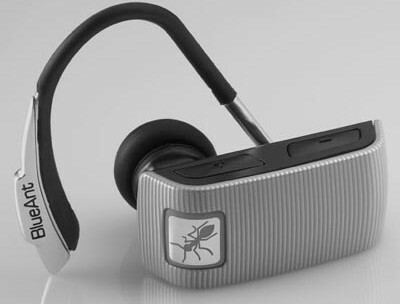 Watch video presentation of the BlueAnt V1 voice controlled Bluetooth headset below.